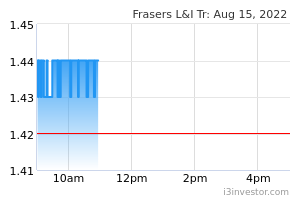 Frasers Logistics & Industrial Trust’s (FLT) 1QFY19 results met our expectations. Gross revenue and adjusted NPI (excluding straightlining adjustments) jumped 40.3% and 46.5% YoY to A$59.5m and A$48.9m, respectively. Growth was driven largely by contribution from acquisitions and the early surrender fee of A$1.2m received from one of its properties. DPU in SGD terms slipped 1.1% YoY to 1.78 S cents, forming 24.9% of our FY19 forecast. The decline was largely attributed to an enlarged unit base and a lower hedged exchange rate of A$1.00: S$0.9820, versus A$1.00: S$1.0583 in 1QFY18. In AUD terms, DPU rose 6.5% YoY to 1.81 A cents. According to management, it has hedged its 1QFY19 distributions and a portion of its estimated distributable income for 2QFY19. From our understanding, FLT still has A$21.4m of divestment gains which it can tap on for future distributions to unitholders. We believe this will help to buffer the current weakness in the AUD. FLT’s portfolio remains defensive, with a long WALE of 6.71 years and near-full occupancy of 99.6%. Two leases aggregating 21,140 sqm were renewed in Victoria, Australia, in 1QFY19, with negative rental reversions of 7.2%. Both leases carry annual fixed rental increases of 3.0%-3.5%. Again, we wish to highlight that FLT’s negative rental reversions are largely a function of its annual rental escalations outpacing the market rental growth, and thus signing rents are typically reverted back to market levels upon the lease renewal. For the core Australian markets which FLT operates in, Sydney’s industrial prime grade net face rents saw a 1.5% QoQ increase in 4QCY18, while Melbourne and Brisbane were flat (but +1.1% and +0.9% YoY, respectively), according to data from JLL. FLT currently has a ROFR for over 44 properties from its sponsor, of which 17 are in Australia and the balance is in Europe. While not all will be suitable for FLT, management said that there are a number of stabilised assets which it can potentially look at. 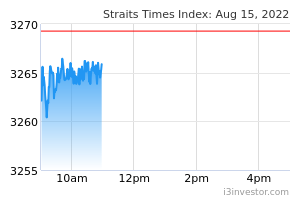 We maintain our forecasts and S$1.19 fair value estimate.